“And proclaim to humankind the Haj (pilgrimage)." This year Haj is in the first week of October. Muslims from all over the world will gather to worship God. They have started arriving in Saudi Arabia, by plane, bus, car, etc. Some endure great hardship, others merely buy a first class ticket, but they come as equals. People make this journey prepared to stand at the House of God (or Kaaba) and affirm their love for God and His religion of Islam. 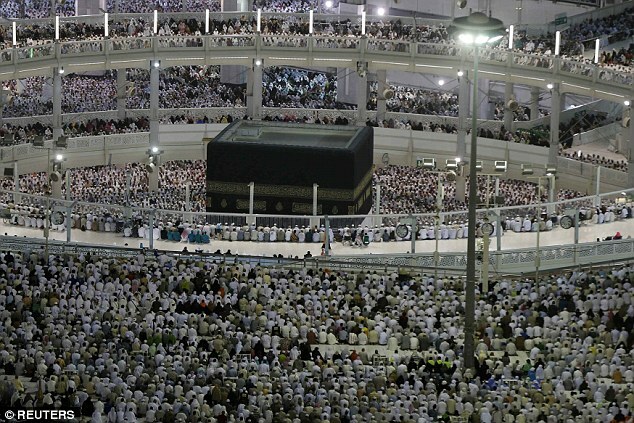 The Haj is spread on several days of total devotion to the One God. Muslims come together to celebrate His praises, ask for His forgiveness and demonstrate unity for His sake alone. Throughout the Muslim world, Haj has come to symbolize unity. 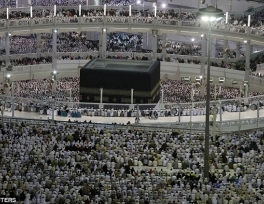 Although Muslims may be disunited due to many outside influences, such as money, politics, border disputes or other worldly concerns, Haj is the great leveler. At Haj, all Muslims are equal; nothing about the rituals they perform makes one person better than another. Millions of Muslims stand in one place, wearing the same simple clothing, following the same rituals and saying the same words. They are united in their devotion to God. The black man stands next to the white man and they call on God with one voice. The king stands beside the pauper and they declare their submission to the will of God using the same words. Muslims from every corner of the globe are united in their submission to the will of God. They cry out as if with one voice, “Here I am O God, here I am at your service, and You have no partner. Here I am. All praise, grace, and dominion belong to You. You have no partner.” This supplication is said repeatedly by the pilgrims. It is their answer to God’s call for the Muslims to perform Haj. These words are repeated with joy and reverence by all, regardless of status or class. Some people are so overcome with emotion that they weep, others feel elated and happier than they have ever felt before. Every person there feels that he is one person, alone among millions answering God’s call and God hears his supplication and sees his arrival. The pilgrims feel amazed that they are the guest of the most Merciful God. He or she attends this gathering by the invitation of God, not at the invitation of a government or an organization, nor at the request of a family member or friend. Haj is performed because God has invited the believers to congregate together. Regardless of place of birth, nationality, ethnicity, gender, or status, all are welcome, and all are equal in the sight of God. The Muslims gather to meet one another and demonstrate to each other, and the world that they are united. They are united by their worship of One God. Islam is the religion of unity. Repeatedly throughout the Qur’an God reminds the believers that they must remain united and seek strength through unity. Haj epitomizes this unity. People from every race and color come together in submission to the will of God. Muslims are one brotherhood and they come together with a sense of purpose and a desire for peace. Haj is the largest annual gathering of Muslims; it is the largest gathering of people united by the peacefulness and serenity that is Islam. Anything that disturbs the peacefulness of Haj is prohibited. No matter what is happening in the material world at Haj, peace prevails. Muslims gather together and their diversity is a wonder to behold. The old stand with the young, the rich stand with the poor, people of all colors and nationalities stand shoulder to shoulder in prayer, and perform rituals side by side. Prophet Muhammad (may the mercy and blessings of God be upon him) said, “In their love, kindness, and compassion for each other, the believers are like a human body. Muslims at Haj are one people, they are a soothing sea of humanity, gathered together to worship One God. Muslims turn their faces in one direction and submit to the will of God. They are united by their love of God and united in their diversity.